In Italy, Ubiemme Gühring is among the major suppliers of high-precision tools, applications and services. We manufacture all special tools, delivering them in a short time and according to the customer’s specific requirements; we design them by a software and hardware developed by our parent company. How would you introduce Ubiemme Gühring? Ubiemme was established in 1947 as a trade company, dealing with specialised tooling at the service of precision mechanical workshops that worked in the city of Milan at the time. Over the years the company has developed as sales representative of foreign manufacturers of precision tools, such as drills, taps, cutters, etc. In 1989 there was a turning point. Gühring, a German enterprise, became one of Ubiemme’s shareholders and since then the company has been dealing with a wide range of items, stretching from HSS products to more complicated hard-metal and diamond polycrystalline tools. Today, our range includes more than 45,000 items belonging to the tooling sector: drills, milling cutters, reamers, counter-boring and counter-sinking tools. In addition, our technical drawings are managed by SAP system, globally integrated within Gühring’s network, including the latest cutting-tool geometries manufactured in Germany. What distinguishes your products in the Italian market? Our strategy to operate in the market is the sale of top-level-technology tools to the direct industry and to dealers, combined with a capacity of assisting the customer, both from a technical and a commercial point of view. Besides the high quality of our products, in the market we are recognised for our efficient after-sales service, which ensures our customers the highest productivity of the tools we propose. How is the Italian market going for you? 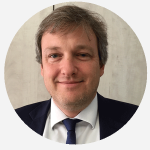 In Italy, we have a real production facility that was able to establish its presence in the country, in order to serve its reference geographic area with the utmost care, proposing not only products, but also a wide range of services. As far as services are concerned, we are competitive also in the market of special tools, which we develop in our Italian factory, where we manufacture a large number of special tools according to the customers’ specific requirements, with very short delivery time. How important is Research & Development activity for you? Obviously, it is very important. The daily target is to increase the solutions for our customers and improve their productivity. With regard to long-term projects, in Italy we introduced the “Tool Management Service”, launched in Germany about ten years ago. With this service, we are proposed as the only company to manage the tools of our customers, allowing them to look after their own “core business”. The continuous relationship among technicians, commercial staff and users is the best instrument to understand the customer’s needs. This is also research. Actually, today the secret lies in specialization, together with the quality of the service and of tools. These are factors of which we have always taken care, with the utmost attention. Moreover, we strongly insist on the professional training and education of our company’s staff, because finally, what makes the difference are people and our success is based on these aspects. What will you exhibit at 31.BI-MU? 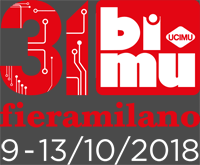 At the next BI-MU we will exhibit new products and an extension of our milling and drilling tool ranges. At our stand you will find tools for drilling, boring, milling, counter-sinking and spot-facing. We will illustrate the winning idea of the Tool Management Service. I invite you to discover all other novelties directly at our stand within 31.BI-MU.